Scottsdale Bedrooms has Arizona’s most luxurious selection of Aireloom mattresses from the Karpen Luxury, Karpen Sidestitch and Pacific Plaid Collections. When you lie down on an Aireloom mattress, the dream becomes a reality. Every material is hand-selected for durability and comfort. Every layer is integral for support and relaxation. Every stitch and contour is tailored by a true artisan. Their Patented Aireloom Lift™ can elevate an ordinary night to pure perfection. 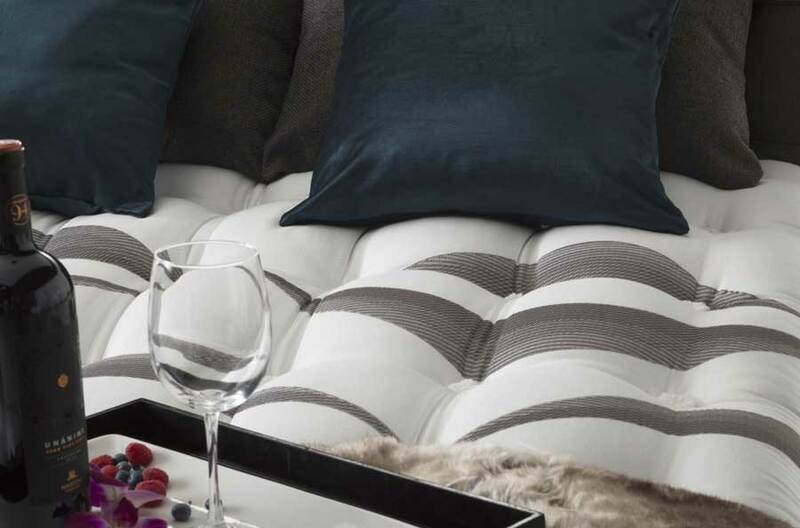 Established in 1940, Aireloom mattresses continue to be inspired by California design. From the mountains to the desert to the beaches, California knows a thing or two about comfort. It’s where the best in relaxation and innovation come together. Combining classic craftsmanship with innovative design, Aireloom has created the patented Aireloom Lift™. 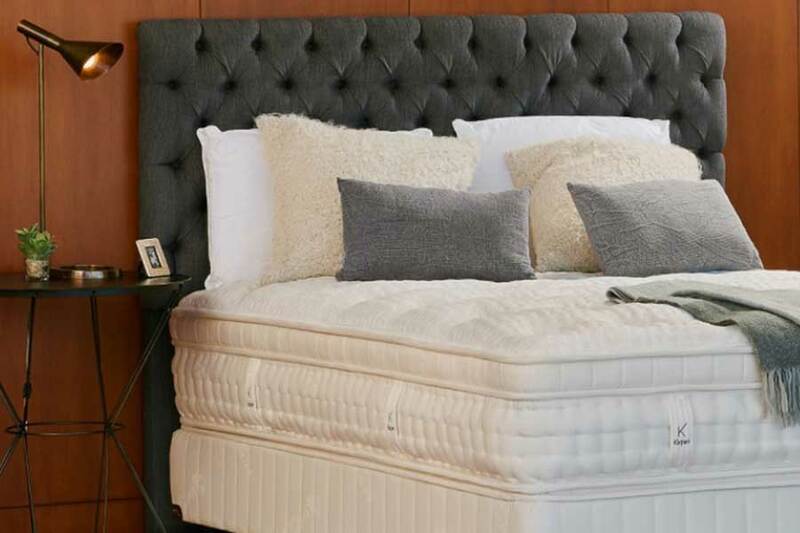 Adaptive materials are layered in a chamber between the mattress-top and springs, allowing the mattress to elevate, support and synchronize with your body. Visit our showroom and experience the Aireloom Lift™. Aireloom’s Preferred collection features TENCEL® New Age fabric, a futuristic surface fabric that is unbelievably smooth to the touch. Underneath this surface, you’ll find Celsion Latex to help your body keep a cool California temperature, with noticeable pressure relief. Built on the Patented Aireloom Lift, the Preferred collection allows the natural sleep chamber to perform at its best on top of Pocket-Flex coils. Dressed for success, it also exhibits the patented Aireloom plaid with refined look and tailoring. Every Karpen Luxury mattress is carefully filled with layer upon layer of natural materials. Joma™ wool, Talalay Latex and organic cotton come together to create a cloud-like feel and a precise level of support. Let the Patented Aireloom Lift™ system, with its unrivaled tufting construction, provide you with night after night of adaptive comfort. Our signature vertical-stitched borders and nested coil design provide the ultimate support. This collection is handmade with over 40 pounds of cotton and sealed by artisan hands with 560 heritage side-stitches. This labor-intensive process is Aireloom’s nod to King Karpen – the original mattress visionary. With over 75 years in the industry, Aireloom’s expertise in comfort led them to develop a state-of-the-art, proprietary coil design. By curving heavy gauge metal into delicate inner-springs, you’ll experience a reactive support for premium, all-night rest. We didn’t realize how much a good night’s sleep depended on our mattress until we went to Scottsdale Bedrooms. The professionalism, the service and their personal touch made choosing a mattress easy. We no longer wake up sore in the morning, in fact we don’t want to get out of bed! Thank you Kay and Travis, for taking the time to educate and help us choose the perfect mattress for us! Our search for a comfortable and supportive bed has finally come to an end thanks to Scottsdale Bedrooms. We can’t believe how comfortable our new bed is. The experience we had with the team at Scottsdale Bedrooms was fantastic. They really understood what we wanted and suggested the perfect bed for us. We are finally happy with a bed. Thank you Scottsdale Bedrooms. One year ago, we bought two Aireloom Belvedere Beds. We compared the Aireloom mattresses to other stores in town. To us, these beds were the most comfortable. A year after purchase we are still happy. The Scottsdale Bedrooms store knows their product and they don’t push. They carry models of brands and other brands I could not find elsewhere. We were very happy with the product and the service. I love my new mattress. The best sleep I’ve had in years. Thank you and your husband for coming to my house and getting the mattress in the frame. I would and have recommended Scottsdale Bedroom to all my friends. Thank you again.